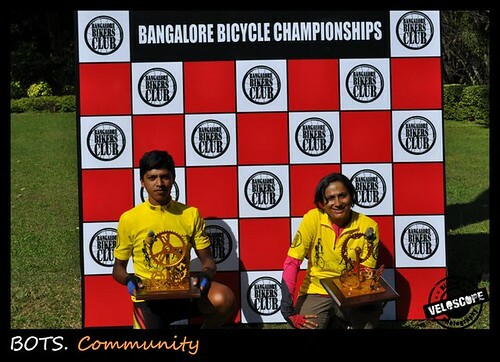 The Bangalore Bicycle Championships (BBCh) 2010 culminated with a fantastic Crit and also the crowning of two new champions – Naveen Raj (Men) and Manjula Shridhar (Women). Our heartiest congratulations to both of them. There was some hard work behind these wins. The BBCh races are close to our hearts at BumsOnTheSaddle. While we do spend a lot of time ensuring the races are heading the right direction, the races were engineered to be community driven. We have quite a few folks who help us ensure every race is executed flawlessly! The Vitamin M concept also ensures a major portion of the race expenses are covered. All the races have been spot on, loads of fun and has accelerated the racing spirit in ways which are unimaginable. It’s been a sea change from 2009 where we had almost everyone riding for fun on their MTBs to today where a large segment is training and competing seriously. 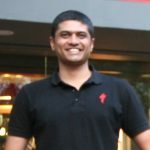 All this finally allows us to take racing to the next level and host the platform where champions are born and help put Bangalore on the cycling map of the world.